CRC Bright Zinc’s unique formulation combines superior rust inhibiting properties of zinc with a tough but flexible resin coating for heavy-duty protection and a bright finish of new galvanising. Pure zinc particles are embedded in a resin system which forms a quick-drying highly-protective coating on bare steel or iron, with more than 50% highest purity zinc in the dried film. This organo-zinc coating provides an effective barrier for protection of treated surfaces from environmental conditions like moisture, humidity, water and heat while the zinc particles – due to sacrificial anodisation of zinc – stop rust and rust creepage if the coating is scratched, abraded or dented. CRC Bright Zinc provides a gloss top-coat finish but unlike standard paint systems, resists undercutting and blistering from corrosion. CRC Bright Zinc is ideal for touch-up and repair of damaged galvanised surfaces and effective long-term rust protection with the bright look of a newly galvanised surface. 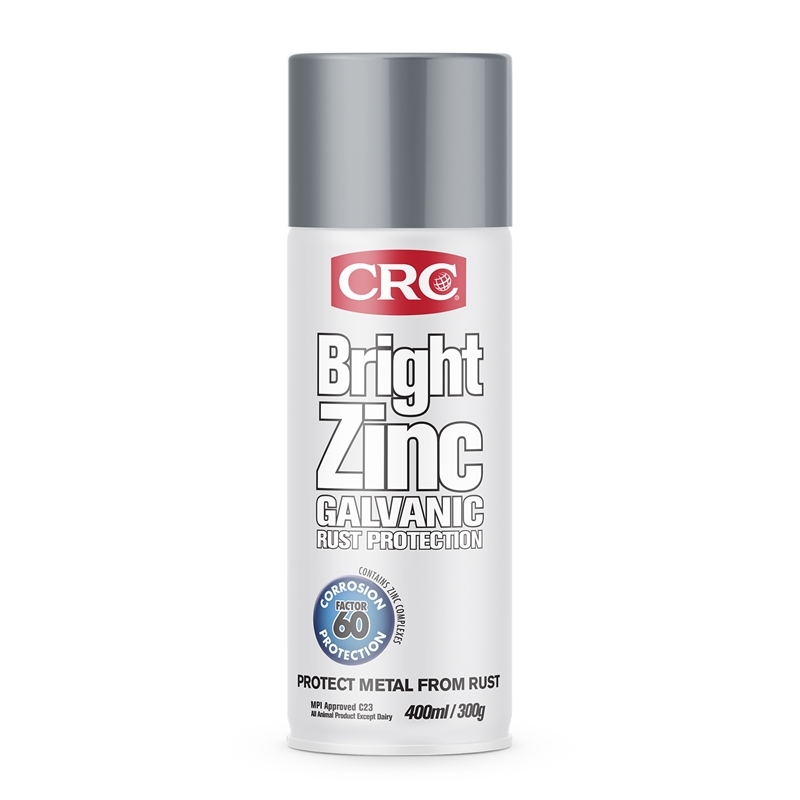 For ultimate protection, prime the metal surface with CRC Zinc then apply CRC Bright Zinc as a top coat. 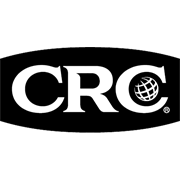 CRC Bright Zinc provides excellent cover and is capable to be applied as a heavy film for extra protection without forming runs, delivered from a unique aerosol system giving a smooth even coat. Ongoing protection can be achieved through simple re-coating within 5 years, depending on conditions. Protection in extreme conditions may require re-application more frequently.